Do you ever find yourself overwhelmed or unclear on the steps to attract and enroll ideal, high-paying clients and create the thriving, rewarding and profitable coaching business you dream of? Well… That’s why I created the Coach Biz Quiz! In less than 5 minutes you’ll not only discover the areas where you are on track and doing well, you’ll also pinpoint those areas that really need your attention. 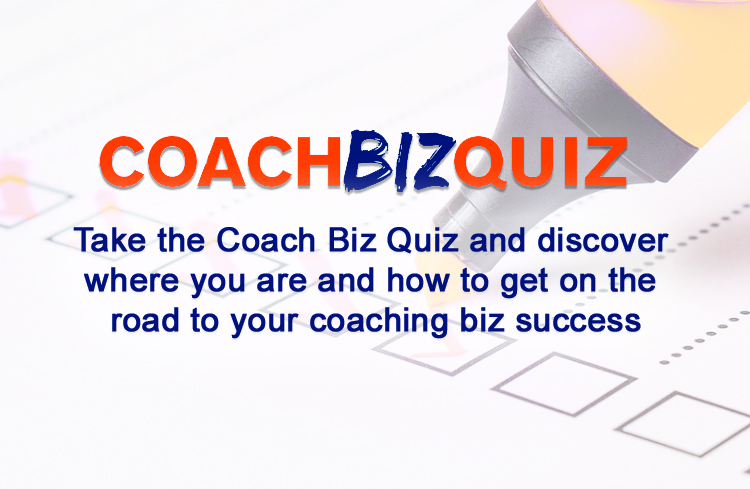 Click here to take the Coach Biz Quiz now. After you take the quiz you’ll receive your results and our specific recommendations on the next best steps for you. P.S. Building a successful coaching business requires more than being a skilled coach. The Coach Biz Quiz will help you identify what you most need to focus on to create the coaching business you desire and deserve. Oh yeah! Click here to take the Coach Biz Quiz and find out why!